Welcome to the Dorset & Wilts Society of RFU Referees. Another busy season beckons and we welcome many new faces to the Society, whether having moved in to the area, or the brand new Ref starting on the twisty road to higher levels of the game. For any newcomer to the Society please contact our Kit Master Simon Packer to get your kit ordered. During the off season, the Society had made a big investment on new technical kit, including more Radios for Ref to Developer link, an extendable mast system which will allow better quality visual recording of our games and the new Website. With the RFU now providing the Who’s The Ref system to the Societies, we can move forward knowing our Tech systems are ready for the tasks ahead. The Society runs monthly training meetings, please keep an eye on this site to get the latest information re Location & Subject to be discussed & any guest speakers. We would encourage you to attend these informative meetings. Also, any Club Referee who wishes to broaden their knowledge, will be more than welcome to attend these meetings. 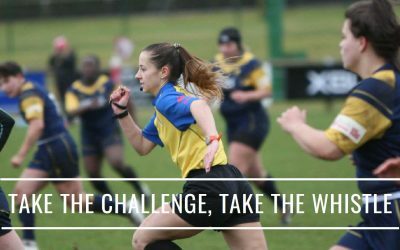 We have built up our number of Exchange Fixtures with other Societies, which brings more opportunities to develop ones game to assist in creating a stronger skill set. If you feel these would be useful to you, please contact our appointments team. Referees receive a mileage allowance to cover expenses to and from games, which is reviewed regularly by the Committee. There is an Annual Award of the ‘Bob Stock Trophy’ to the Club who accumulate the highest score amongst the Referees for the most helpful and hospitable Club within the two counties. If wishing to start Refereeing, please keep an eye on the RFU website for a L2 Refereeing Course close to you. The core values of Rugby: Teamwork, Respect, Enjoyment, Discipline & Sportsmanship are an important part of the game, with enjoyment being imperative for all referees. So I do hope you enjoy your refereeing with Dorset & Wilts. As mentioned earlier, this is a new Website, many hours have been put in to developing the Site and I would like to thank the members who have put time in to its development and the very patient Dave Ayres of Creative Byte who built it. I hope you find any information you need on the site. If you have any queries, please do not hesitate to contact any of the Management Committee.